You leave on vacation, go to work or run errands for a few hours. Water is becoming more and more expensive, how do you keep your water safe from neighbors, contractors, mischievous children turning the faucet on while playing in the yard, or just someone passing by. You can’t tie a knot in your hose to keep your water safe. Well that’s where we come in, we invented and patented the unique Spinsecure locking mechanism for your home, business or commercial application. “…simple really,it’s all about TORQUE” All of our products incorporating our patented design redefine what it means to ‘lock’ something. Normally when ‘locking’ something we are accustomed to it being rigidly fixed in place so as to prevent removal. Historically we know if enough force or torque is applied to something fixed it will eventually break free from what it is affixed to. Our line of products utilizing the free spin technology do the opposite. 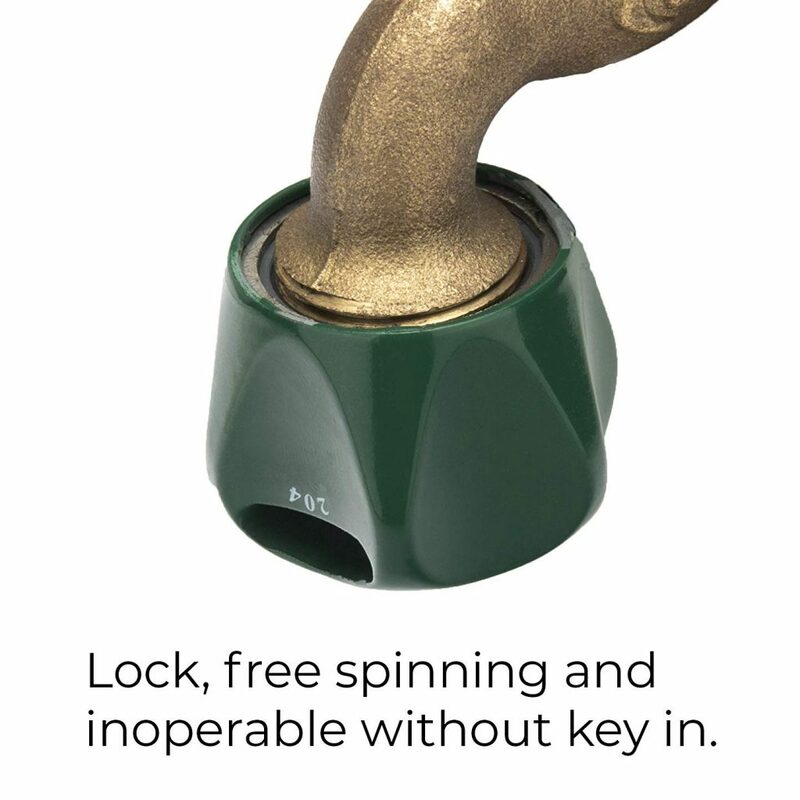 When our keys are used to secure the Cap (Versalock, Faucetlock etc.,) they are operating the patented mechanism will ‘disconnect’ the part from the thread it is attached to allowing the part to free spin and prevent removal. No amount of torque or wrenching on the cap will remove it from the thread. Only when the correct key is used will the cap become operable again and allow removal. Please see instructions on use and operation of individual products.